Starting a new blog always exciting and interesting. Being a blog Admin as the first time we always busy with our theme, first post, gadget settings, social media marketing or something like this. Actually, this is not only from the experiment report but also from my personal blogging history. 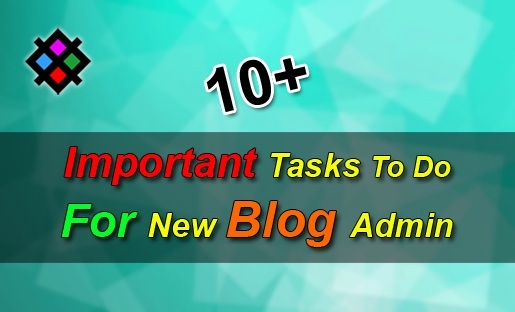 But, do you know these all tasks are not so far important works for your blog as a blog Admin. There are some few essential tasks are available that are important for your blogger blog. In this post, we will discuss them. Don’t just waste your time to decoration your blog all the time, Remember, the design is not so far important to bring readers. You must decide on which topic you are going to write on your blog and publish your posts. Make sure your first post is informative and worthy for your targeted readers. Search engine optimization is very important to get visitors from the search engines. Getting traffic from search engines is called organic traffic. Always care about your SEO facts. If you are not expert on SEO you can hire an SEO expert to take care of your SEO points. I have mentioned some major SEO elements that you must consider about your blog. When we first install a new blogger theme we found a lot of gadgets which are not actually useful and sometimes totally unnecessary. So, after implementing your blogger theme go to your blog admin panel Layout page and remove the gadgets that you do not wish use. Gadgets can be removed from template also, but do not try from blogger template if you are not expert in codes. READ: How To Setup Font Awesome Iconic Fonts In Blogger? 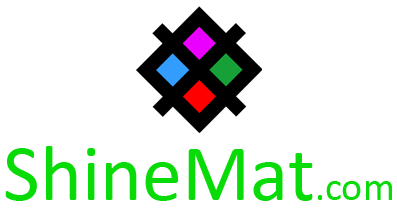 Permalink is a permanent post link for a blog post. In blogger, you can not change your post permalink once it published. So, whenever you are going to publish a new post it is necessary to customize your post link in the base of your keyword phrase. Your post permalink URL will be indexed by search engine robots and it is the URL that people see in the browser. Permalink URL structure something looks like below. It is an easy task. In default or new blogger template, you will get the social media links are not complete and these must be edited with your own social media links. To do that simply go to your blogger theme and find out the default social media links, re-edit and save them with your own links. As a blogger you will get huge invitations, requests, suggestions, complains, advertising query etc. from your worldwide customers or readers. So, make sure your contact form and other details are working fine. READ THIS: 16 Reasons Why Google Adsense Is Best For Monetizing? How To Setup Google Search Console? How To Setup Google Analytics? Never load your blog with unnecessary gadgets like flags, stat counter, live readers, animated clocks etc. These are not professional and increase your blog load time which is not good for your blog. If you find any harmful gadget available in your blog just after installing a new template simply remove them from the layout page. If you will find it locked, please read how to unlock gadgets in blogger blog. Nowadays almost every blogger template is mobile responsive. If your blogger theme is not friendly with all types of device screen, kindly change your blogger template. You can check by Google Mobile-Friendly Tool whether your web page mobile friendly or not. I think you are going to be a professional blogger. Isn’t it? Have you created your About Us or About Blog pages? If not yet, just create it. This page will say about everything your blog and about your works. This look like a professional blogger. Email marketing is an essential fact for blogger. There is a lot of email marketing client available online for free. Just grab one of them and start email marketing of your blog. I personally use “MailChimp” for my email marketing. All you need to create your account, setting up your RSS feed and all email list, design your template, setting time and start automatic sending. Now please it's your turn to subscribe us. Just write your email address below and hit Enter. SEE ALSO: How To Submit URL To Google Using Fetch Tool? Lastly, I recommend you to read and read other major blogs to learn more and subscribe to them. Try to create a good relationship with other top blog authors. This technique also helps you to get a new blog post idea/ topic to write your next blog post. HubSpot, Mashable, Shoutmeloud, Brightside, Content Marketing Institute. Hope these points help. If you think I missed something important that should be added in this post please let me know by comment below. Stay well and be happy.